Indulge in a delicious pomegranate and acai flavor while you rejuvenate your body. 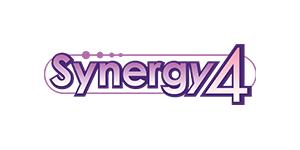 SynergyO2 has created SYNERGENO2, a 100% natural dietary supplement that helps regulate and potentiate the human body’s natural functions, making this a 100% anti-aging product. SynergenO2 combines the best quality ingredients that your body needs to feel and look younger than ever. This powder dietary supplement brings these best quality ingredients to look and feel good. Simply mix with water and drink it once daily. SynergenO2 does not conflict with any disease, medication or diet; and it is also recommended for diabetics or people with hypertension. The body needs vitamin C to produce collagen, necessary for proper wound healing. Vitamin C also enhances iron absorption in foods of plant origin and contributes to our immune system functioning “smoothly” so as to protect the body against disease. It is an antioxidant that favors people’s longevity. It defends our body from free radicals, delaying aging. This component protects brain cells and helps the oxygenation and energetic activation process of the mitochondria, avoiding to some extent neuron loss due to the passage of time and under critical circumstances, such as apoplexy events or stroke.Its main characteristic is its high level of antioxidants, since it is able to protect cells from free radical attack that can damage different parts of cells such as DNA, or fat deposits. This actions keeps us younger longer avoiding possible anomalies that caused by free radicals. Helps fade wrinkles, stretch marks, scars and acne. It can help burn fat, fight cellulite and sagging. Helps strengthen, protect and regenerate joints, tendons, ligaments, helps to increase physical performance. Fights cell damage caused by free radicals, moisturizes skin for prolonged periods and it is extraordinarily nourishing. 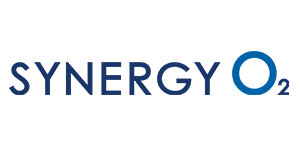 Synergeno2 contains more than 97% protein (based on dry weight, hydrolyzed collagen contains 18 amino acids, including 8 of the 9 essential amino acids). It is characterized by the predominance of glycerin, proline and hydroxyproline, representing approximately 50% of the total amino acid content. No, SynergenO2 is not a medicine. SynergenO2 is a nutritional supplement and works according to your body’s priorities and where it is most needed. 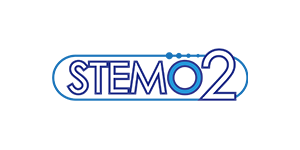 SynergenO2 is not destined to diagnose, treat, cure or prevent any disease. What is the shelf life of SynergenO2? By FDA requirements (US Food and Drug Administration) we must establish an expiration date. Once you purchase the product, you should take it in a 3-year period. However, you can still enjoy its benefits even though the date on the container has expired. How is SynergenO2 going to make my skin look brighter and clearer? SynergenO2 enables skin hydration making it look brighter and younger than before thanks to the vitamin C. Vitamin C produces the sufficient collagen required for healing and contributes to a proper functioning of the immune system. Can SynergenO2 help me lower my cholesterol levels? Absolutely, SynergenO2 has as one of its main ingredients a fruit that works as a powerful antioxidant, called acai. Acai can help reduce cholesterol levels and also contribute to your cardiovascular health. Acai is also enriched with essential minerals for the body, such as calcium and potassium. How can SynergenO2 make me look younger? Thanks to its high content in collagen. Collagen is the one responsible for the formation of connective tissue, which provides elasticity to our skin. This process also helps to prevent wrinkles and loose skin. This process takes place on all of our skin, not only on our face. How should I take SynergenO2? In a glass of water (240ml) add one spoonful (6.5g) of collagen, shake well in order for it to completely dissolve. For better results add SynergenO2 first and then water. We recommend you to take it in the mornings.